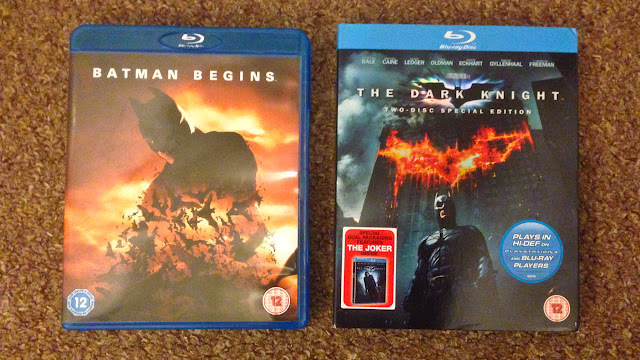 I am a huge fan of Christopher Nolan's version of Batman and found these blu-rays in a local charity shop for £2 each. When I saw them I promptly bought them, expressing my delight to the shop manager as I did so. I am proud to support charities through their shops. I consume a lot of media from them, probably too much. I have books that I've 'found' that I've never read, whilst this is unfortunate I know I've done my bit by donating. I don't want these films to suffer a similar fate and intend on watching them with my family as soon as I can. I guess one person's rubbish is another person's treasure ... but that doesn't mean I need to overfill my house with stuff I'll never use. The whole 40 Days of Enough thing is about appreciating what I have and not always looking for more, even if it is for a good cause.